• Plastic lanyard tag for expensive articles such as bags, purses, watches, etc. We offer Am Tags to our clients. We are offering EAS Hard Tags to our client. We have been counted amongst the most trusted names in this domain, engaged in offering standard quality range of EAS Tag. Design: Durable plastic holders with removable inserts attach directly to scaffolding for a secure display. 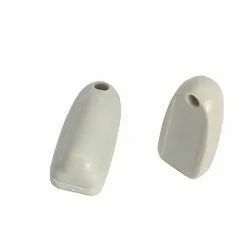 With years of experience and market knowledge, we are indulged in offering the best quality EAS Anti Theft Systems such as EAS Security Tag. EAS or Electronic article surveillance is basically used to keep an eye on various activities to prevent theft in retail stores, offices, libraries, etc.